Glad to see someone else uses Tarzan’s Grip (I am in Brisbane). I have been using it for over 30 years to glue figures to bases. I was doing it about 30 minutes before reading this post! God knows how many tubes I have gone through over the years. @Doug – yeah – I guess you should put the figures on the painting queue after the EIR are finished. 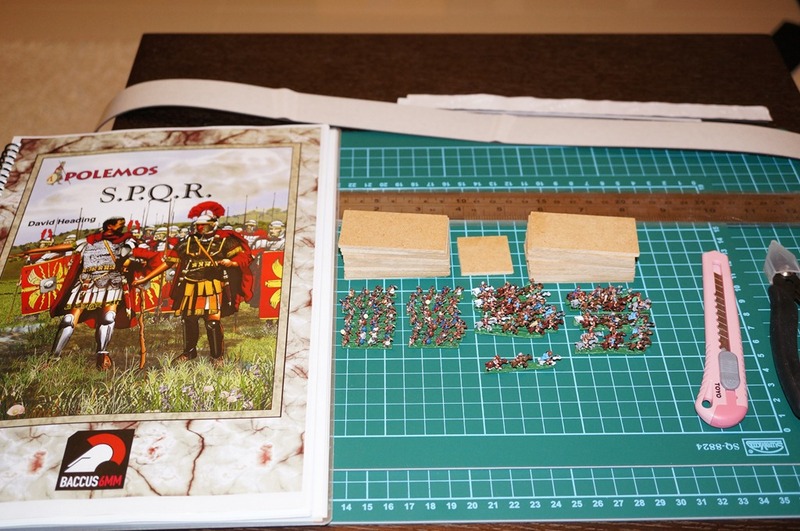 The biggest job with my Romans is the shield decals – I will admit to looking at that task and thinking “hmm, where’s the beer for a decent planning session”. Never tried it with figures this small before, still, will probably get to them Wednesday night. I am thinking, glue a rank of Romans down, let glue dry, decal that rank. Let decal dry then apply decalset. Repeat for the next rank. Repeat again for the third rank. 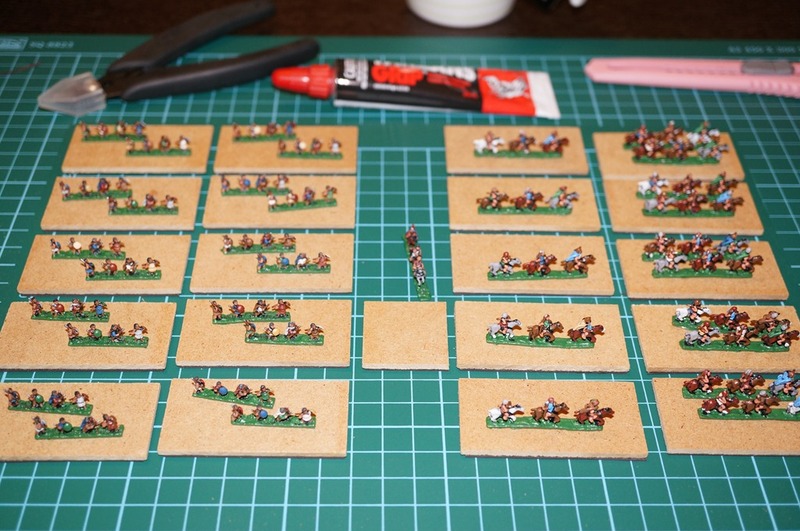 I’m also toying with gluing sand after each rank of the legion is glued to at least make that task easier than trying to do it between three ranks! @Shaun – Tarzan’s Grip has been my adhesive of choice for basing for about 30 years or so as well. When I am back in Australia I usually buy a couple of tubes to bring away with me as I have not found anything internationally that works as well as it does. Uhu doesn’t quite cut the mustard! Yep.. the ancients are being based for Polemos, in fact they are mainly all based. I casn use them for DBA too. 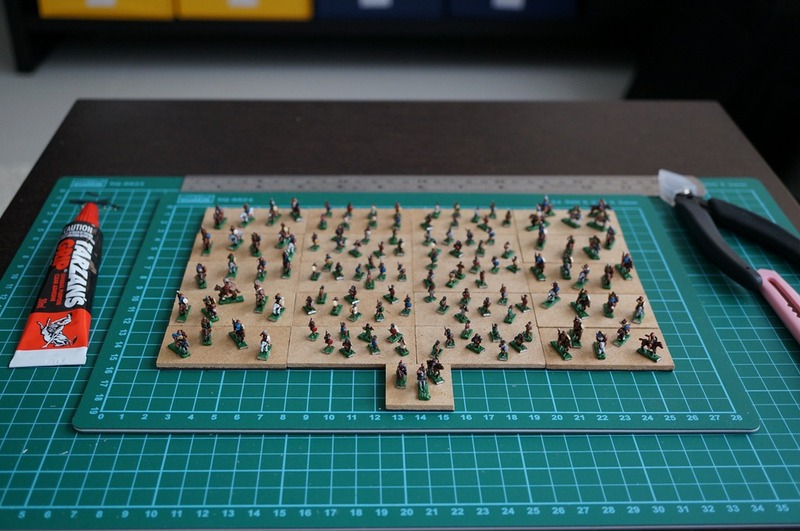 The best part is that 28mm DBA with 6mm figures actually looks like an army! – And only 12 bases is easy. They might get moved up the painting list then.